The Western Student Research Conference (WSRC) is Western University's annual multidisciplinary undergraduate research conference. 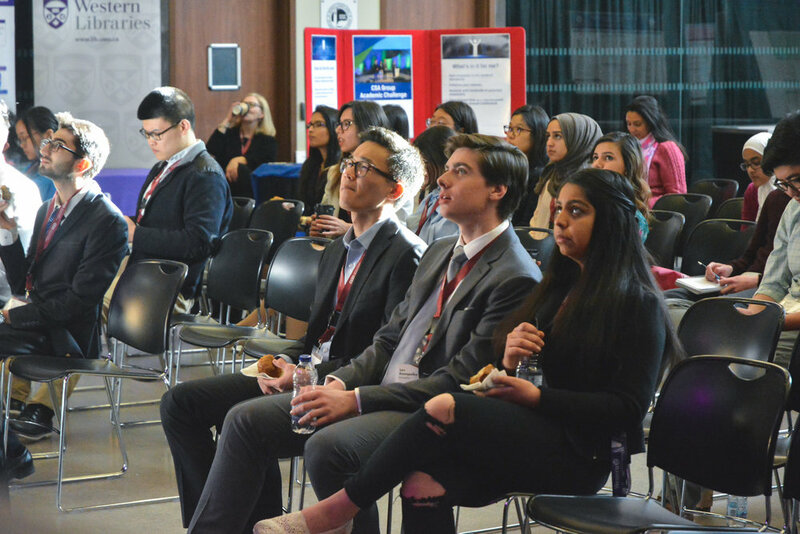 We welcome oral and poster presenters from students from all academic backgrounds, from universities across Ontario. WSRC 2019 will be our fifth annual conference. The WSRC strives to showcase research and work from students of all faculties, attracting researchers from universities across Ontario. This research conference encourages the presentation of multidisciplinary research and the dissemination of undergraduate student research. WSRC 2019 is currently recruiting for judges for our conference! We are seeking faculty members and graduate students (Master’s, PhD, Post-Doctoral) to help judge the oral and poster presentations at the conference. If you are interested, please fill out this form: Judge Form, and a team member will email you shortly. WSRC 2019 is no longer accepting presentation applications, but we thank you for your interest and hope that you can apply for next year’s conference. Interested in being a part of the committee? More information will be provided in Spring 2019.